The Priscilla Glickman '92 Memorial Prize is awarded to a Princeton senior who has demonstrated independence and imagination in the area of community service, seeks knowledge and purposeful adventure in unfamiliar cultures, and maintains strong academic work. The prize commends the qualities of curiosity in the world and commitment to the betterment of the world by recognizing outstanding past contributions to community service. The prize is awarded to encourage the student recipient to explore new challenges in the future. 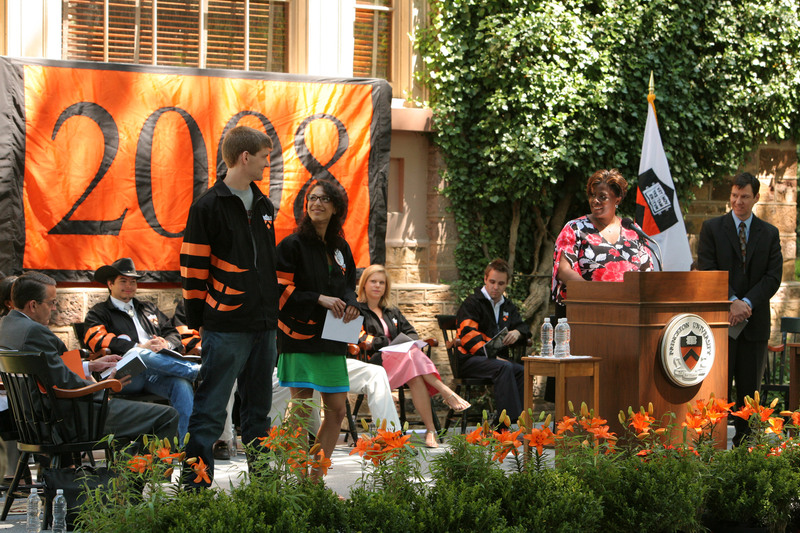 The prize winner is announced annually at Class Day. Faculty, staff, and students are welcome to nominate a Princeton University senior for the 2019 Glickman Prize through Monday, April 8, 2019.